A Facebook post by Big Boy owner Chad Wachter outlining improvements and quelling rumors has gone viral. Big Boy isn’t going anywhere, but will be better than ever. That’s the message from current owner Chad Wachter on a local Facebook’s group’s page that exploded in engagement Sunday. In it, Wachter summarized several big improvements to the iconic restaurant. Big Boy has already debuted a new menu board that’s easier to read. The drive-through exit will also witness a change. According to the post, Big Boy purchased the neighboring railroad property, tore out the tracks, and will create an additional exit following the old track’s route. Wachter states they’ve upgraded their pizza burger machines, too, but vows no changes to the menu or food. Other upgrades were targeted at their point-of-sale system, inventory management system, ice cream machine, security cameras, and air conditioner. 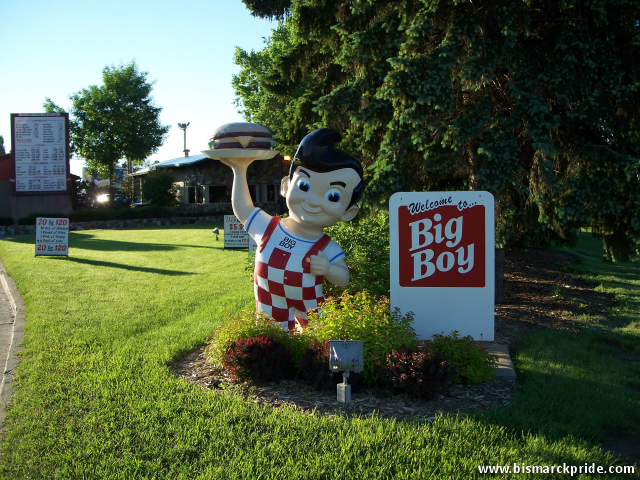 Harley McDowell established the Bismarck Big Boy it 1954. It is Bismarck’s oldest continuously operating restaurant. It also formerly held a franchise with KFC – only the fourth KFC franchise in the nation. McDowell later established other locations, including a second in Bismarck, along with restaurants in Medora, Fargo, Dickinson, and Minot. The original Bismarck location is the sole survivor. The Rothenbergers acquired the local Big Boy and KFC franchises in 1978, maintaining ownership for decades.